Why Can't All Kids Have Fun? When I first came across the wheelchair swing at the Eltham North playground, I thought it was a fabulous idea but it is locked and getting the key required some preparation. I understand the need to keep it secure but it makes it more difficult for families with disabled children to have some spontaneous fun. More of that later. Anyway, it got me wondering which other parks catered for disabled children. It seems that a lot of parks claim to cater for disabled children, but this often means they have wheelchair access or no steps or an allocated car park. Some parks provide suitable toilets. Play equipment designed specifically for kids with disabilities is less common. Now I have a few questions. My first two are: Why should only some children have all the fun? Why should some kids miss out? 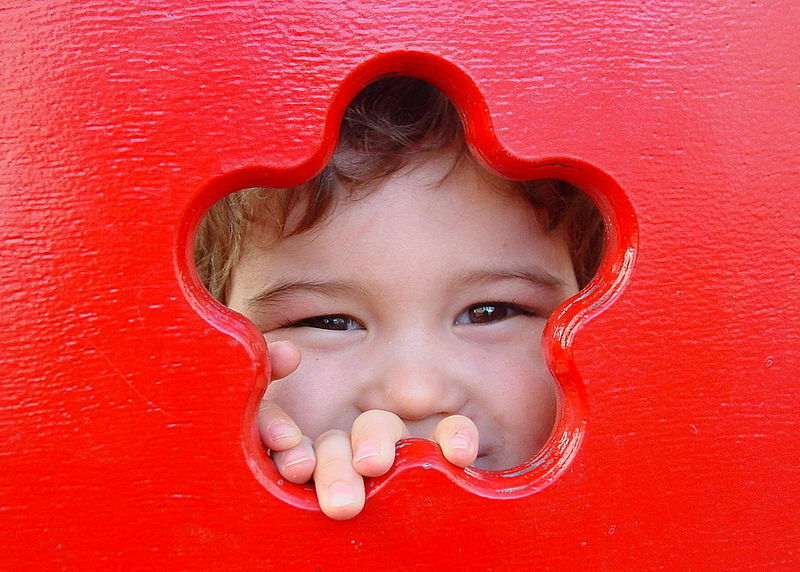 I have listed some playgrounds that go the extra mile for kids with disabilities. This is often rated as one of the best playgrounds in Melbourne and it's great for disabled and able-bodied kids. It is a large fenced in area adjacent to a wetlands and area for dogs and unstructured play. It has lots of different areas for different types of play. It includes the typical play equipment such as slides, seesaws and swings, and rope-climbing frame, large hammocks, a sandpit and flying fox. Obviously some are more suitable for older, confident and more able kids. Most landing zones are soft and springy but they are not 'tear proof'. Unfortunately the toilets are outside the playground area. 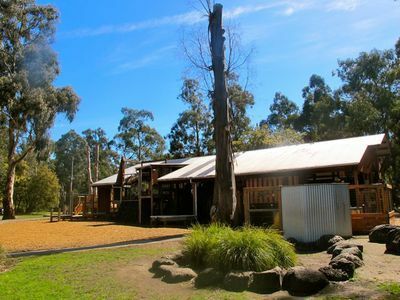 This is a beautiful location with concrete walking tracks/bike tracks but much of the rest of the playground (a community built Woolshed is characterised but its different levels and steps leading to hiding spaces, slides and swinging planks. Much of the appeal is in the fireman's pole, monkey bars, climbing wall and balance beam, which would be unsuitable for disabled children. As mentioned earlier this playground has a Liberty Swing but it is fenced and locked. The key needs to be booked prior and costs $10.00. There are several places where this can be picked up like the local school and council offices but they are not open on the weekends. The intention is good but not the practicalities. Sorry, but since when did other kids have to pay for a swing? Why do those who generally have more expenses have to pay? Often because of the nature of care required, they can also have less disposable income? There are often queues for the 2 flying foxes and carousel. I really like the equipment that makes noises when stepped on or played with. These are at children's heights and on the path. There is a large sand pit and maze. It's a great fun with BBQ areas, shade and lawn for a picnic. Albert Park has a number of the major picnic areas: Swan, Aquatic Drive, Coot Drive, Cormorant Picnic Area. There is also an amphitheatre and a community playground. The Parks has a number of accessible areas with ramps and flat walking trails. 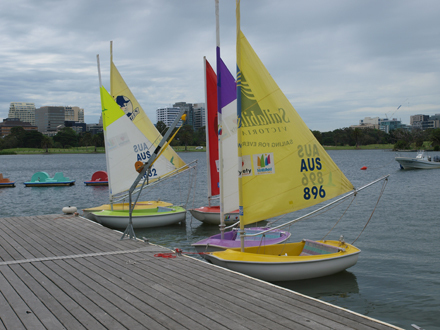 They also offer opportunities for inclusive play but the highlight is the unique opportunity to try out sailing through the Sailability program. Although this was not originally designed for disabled people, the design of the boats allows all children to participate and it is a popular activity. Unfortunately, thoughtless vandals destroyed the special Liberty swing for wheelchairs at the Birrarung Marr playground (near Federation square and Arts Play). Lord Mayor Robert Doyle promised to replace it. Maybe he could be lobbied to provide more accessible equipment here and elsewhere. Perhaps you know of other great parks and facilities for disabled children and their families to have great outdoor fun. Please add to this list by posting a comment. Phoenix Park in Rob Roy Rd, Chadstone, off Waverley Rd, and off Chadstone Rd is an excellent Adventure Playground for all ages including the adults helping children. The park has a car park just about on site and including on a higher level behind the Comm.Centre.There is also a Cafe as well as a place for a BBq and tables and benches. 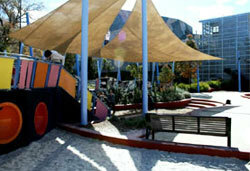 The playground is quite interactive and is frequently used. Definitely a user friendly playground. A couple of weeks ago a new All Abilities playground was opened in Bairnsdale. East Gippsland. It is absolutely beautiful. It is on the highway on the east end of the town opposite the Tafe and the Caravan Park. Ideal for families on holidays or travelling through to have a break. Eateries close by as is the skate park which is next door. Since It has been opened it has been well used by locals and has toilets on site. Moe is good, so is the foreshore playground at Hastings - it has a liberty swing too. Perhaps councils could work together, put universal locks on swing access and parents buy a key to keep that can access all of them whenever they want? A wonderful idea for an article. This should be very helpful for parents. Great job. Great to have a guide so that all kids friends can play. The extras in the comments are also worthwhile! Good on you. Why should they have to go to all that trouble to find a key?